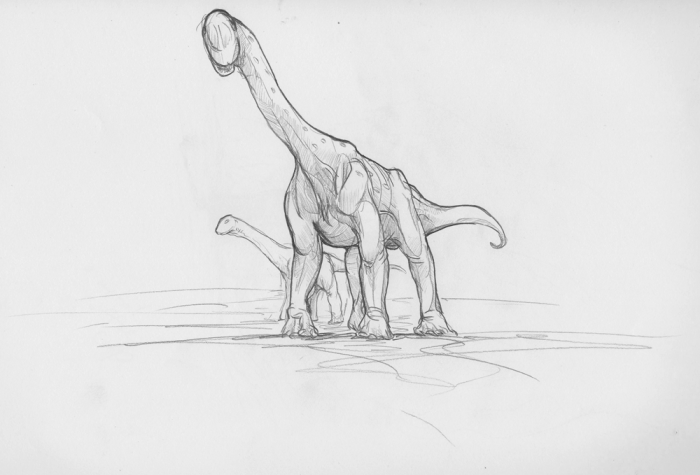 A not entirely realistic Sauropod, done in pencil quickly and then just left it. It also suffers from shrink-wrapped dinosaur syndrome. This entry was posted in Scanned Desksketch and tagged extinct, Jurassic, Sauropod by Anthony. Bookmark the permalink.